Recently matcha green tea has become very popular all around the world. 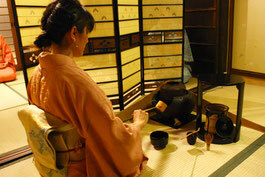 As you may know, matcha plays a very important role in a traditional Japanese tea ceremony. 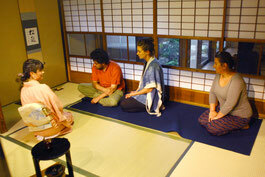 However, learning about Japanese tea ceremony means much more than just learning to make matcha. Why was this a necessary practice of samurais and monks in times past? Why is the "ceremony" still carried on today? 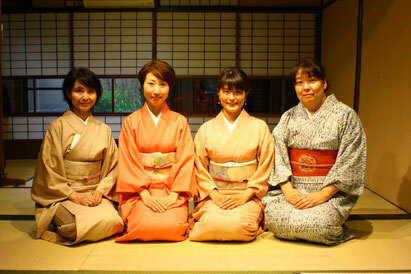 Why do many foreign residents in Japan devote themselves to it? Come, step into the world of profound spirituality and set your soul free. 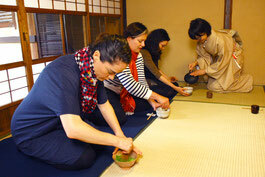 You will learn the basic concepts and ideas of tea ceremony. You will also learn how to behave in a tea room and appreciate its decoration. You will watch a demonstration of the way of tea. We think you will enjoy the quiet and serene atmosphere. Make your own tea! 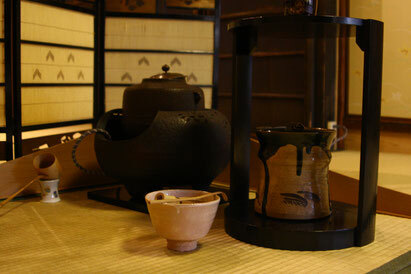 We will tell you how to drink it, and also serve you a specially selected Japanese cake. Please arrive on time. We cannot allow latecomers to join a session once it has started. Reservations are not required, but they are recommended to guarantee your place. The average number of participants is 6-7 people, but the maximum count of each session is 12 people. If you prefer experiencing in a small group, please book a private session. If someone in your group needs to be interpreted into your own language, please book a private session. We are unable to respond to your calls or email on Sundays. Thank you for understanding. This session is for a group of at least 3 people. It will not be possible to accept your request when we have other bookings for that day. We willingly accept huge groups and will do our best to respond quickly to your request. Let's immerse yourself in the surreal world of tea ceremony. We'll guide you there before you know it. 50% of the fee will be charged for cancellations on the day before your workshop. 100% of the fee will be charged for the appointed day cancellation or for any "no-shows". 50% of the fee will be charged for cancellations 2-3 days before your workshop. 100% of the fee will be charged for cancellations on the day before, the appointed day, or for any "no-shows". We are unable to respond to your calls and email on Sundays. Thank you for understanding. Please check reviews on TripAdvisor and Coubic! Please follow us on Facebook and Instagram!